Psychology research normally focuses on investigating questions specific to psychological interest, like distress or wellbeing, along with the methodologies used to generate such findings. However, the availability of research in published form is subject to a variety of criteria. So, what gets published, and more precisely, by whom and why? As psychology and the dissemination of psychological research become increasingly globalized, it is worth asking whether there are inherent biases and systems of privilege that may influence the answers to these questions and what the effects of such biases are. The concept of privilege is especially apt as academic publishing has historically been and continues to be a Caucasian enterprise of Western nations. This is not in dispute. Rather, this chapter examines how privilege permeates the publishing system. 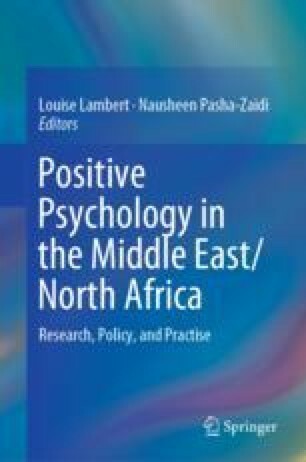 It explores how such systems affect the study of psychology in general as well as the emerging regional field of positive psychology, along with the implications of academic privilege for non-Western researchers. Chalmers, I., Essali, A., Rezk, E., & Crowe, S. (2012). Is academia meeting the needs of non-academic users of the results of research? Health in the Occupied Palestinian Territory 2012 (Conference Abstract). Retrieved from http://www.thelancet.com/health-in-the-occupied-palestinian-territory-2012. Coyne, J. C. (2012, April 11). Authors, don’t call us, we’ll call you. Psychology Today. Retrieved from https://www.psychologytoday.com/blog/the-skeptical-sleuth/201204/authors-don-t-call-us-we-ll-call-you. Directory of Open Access Journals. (no date). About DOAJ. Retrieved from https://doaj.org/about. Gordin, M. D. (2015). Absolute English. Aeon Magazine. Retrieved from http://aeon.co/magazine/science/how-did-science-come-to-speak-only-english/. Harris, R. (2018, February 24). Scientists aim to pull peer review out of the 17th century. NPR. Retrieved from https://www.npr.org/sections/health-shots/2018/02/24/586184355/scientists-aim-to-pull-peer-review-out-of-the-17th-century. Moriarty, P. (2016, March 14). Addicted to the brand: The hypocrisy of a publishing academic. Impact of Social Sciences Blog. Retrieved from http://eprints.lse.ac.uk/id/eprint/66673. National Center for Education Statistics. (2015). Characteristics of postsecondary faculty. Retrieved from http://nces.ed.gov/programs/coe/pdf/coe_cuf.pdf. Remler, D. (2014, April 23). Are 90% of academic papers really never cited? Reviewing the literature on academic citations. London School of Economics and Political Science. Retrieved from http://blogs.lse.ac.uk/impactofsocialsciences/2014/04/23/academic-papers-citation-rates-remler/. Rodrigues, M. L., Nimrichter, L., & Cordero, R. J. B. (2016). The benefits of scientific mobility and international collaboration. FEMS Microbiology Letters, 363(21), fnw247. https://doi.org/10.1093/femsle/fnw247. Schmid, S. L. (2013, September 3). Beyond CVs and impact factors: An employer’s manifesto. [Perspective]. Science, https://doi.org/10.1126/science.caredit.a1300186. Retrieved from http://sciencecareers.sciencemag.org/career_magazine/previous_issues/articles/2013_09_03/caredit.a1300186. Science-Metrix. (2010 February). 30 years in science: Secular movements in knowledge creation. Montreal, Canada: Science-Metrix. Retrieved from http://www.science-metrix.com/30years-Paper.pdf. Wong, P. T. P. (2013a). Cross-cultural positive psychology. In K. Keith (Ed. ), Encyclopedia of Cross-Cultural Psychology. Oxford, UK: Wiley Blackwell Publishers. Retrieved from http://www.drpaulwong.com/cross-cultural-positive-psychology/. Wong, P. T. P. (2013b). Chinese positive psychology: What is the ancient Chinese secret to resilience and happiness? Retrieved from http://www.meaning.ca/archives/archive/art_Chinese-PP_P_Wong.htm. Wong, P. T. P., & Roy, S. (2017). Critique of positive psychology and positive interventions. In N. J. L. Brown, T. Lomas, & F. J. Eiroa-Orosa (Eds. ), The Routledge international handbook of critical positive psychology. London, UK: Routledge. Retrieved from www.drpaulwong.com/critique-of-positive-psychology.